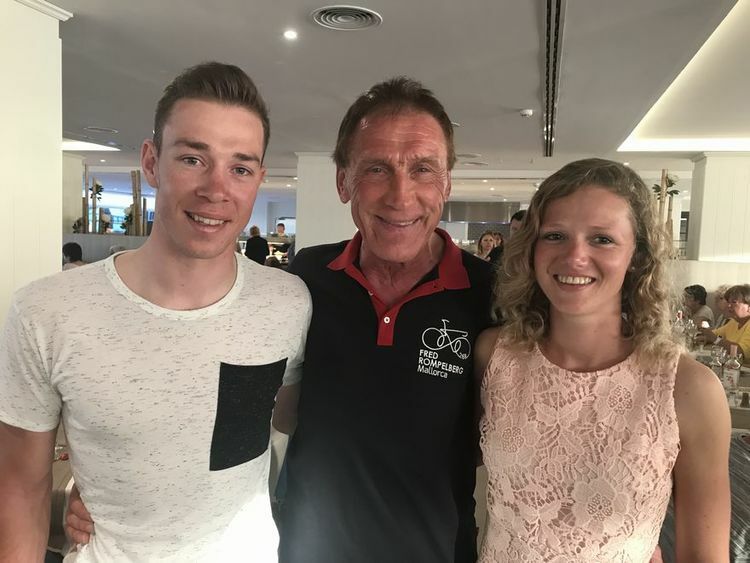 Laatste Nieuws over Fred Rompelberg Bicycling Team Mallorca >> Fred Rompelberg 268 km: 4th trip for free, for our guests who book their cycling holiday 2019 with us. Fred Rompelberg 268 km: 4th trip for free, for our guests who book their cycling holiday 2019 with us. Fred Rompelberg 268 km: 4e reis gratis, voor onze gasten die hun fietsvakantie 2018 bij ons boeken. Boekingen lopen FORMIDABEL, voor het nieuwe hotel Hotel: Rei del Mediterrani Palace ****, in het noorden van Mallorca te Alcúdia. Voor 2019: 18.8% meer boekingen op dit moment als in het fantastische geboekte jaar 2018. Formidabel, daarom ook een extra kosteloze reis voor onze gasten, er worden nu al reeds 4 reizen verloot. 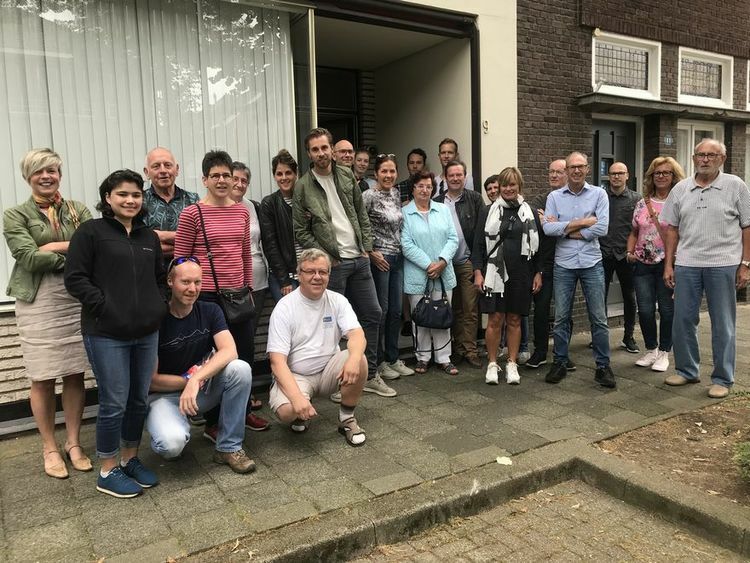 Zoals u weet was de teamdag een enorm succes. Kijk voor nog meer foto's zie foto's beneden. 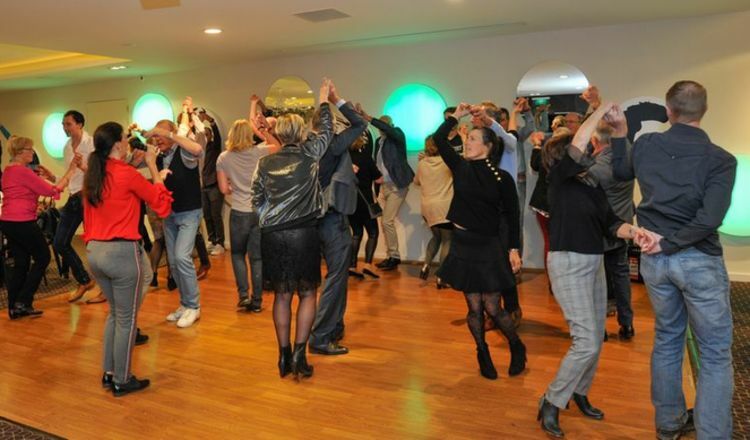 Vroegboekkorting voor alle hotels tot 31 december 2018. Advies: Boek nog voor 31 december 2018. A U B. Boek je vluchten vroeg, hier verdien je geld mee. 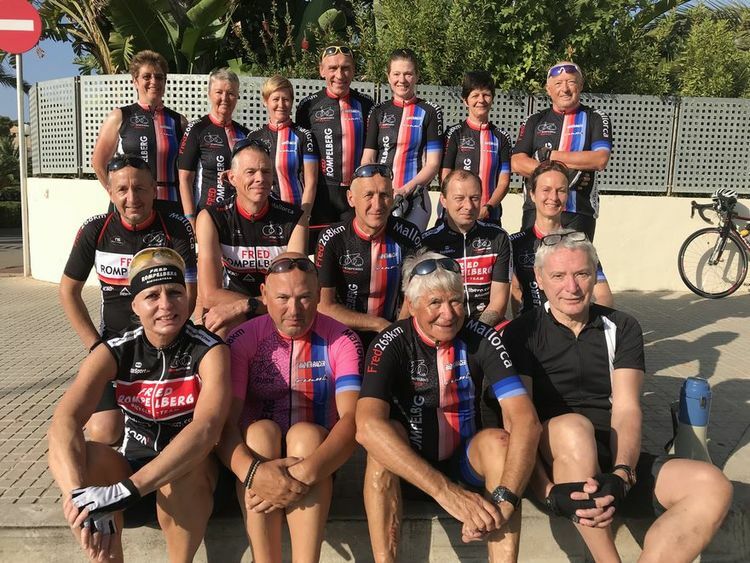 + Hotel met half pension + transfer + fietsservice / organisatie van het 60-kopp ig Fred Rompelberg Bicycle Team. 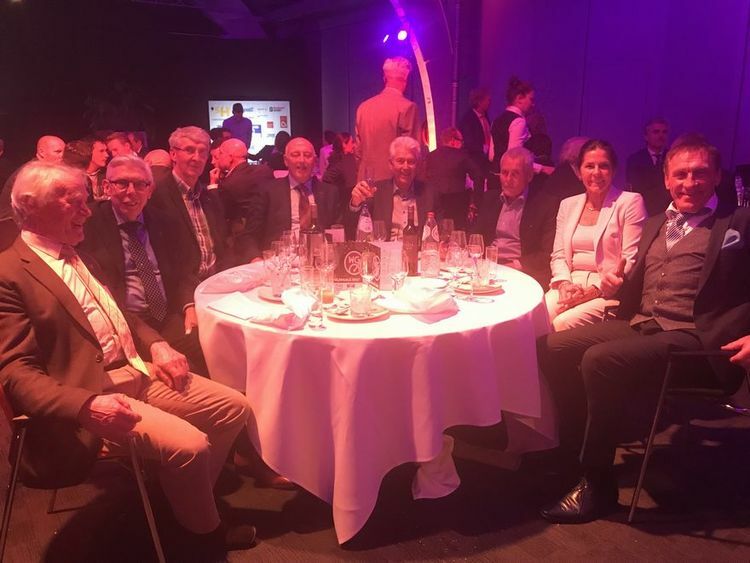 Club 48, de club met veel Olympisch-Wereld en Nederlands kampioenen en wereldrecordhouders kozen de beste wielrenner van het jaar 2018! Ja, natuurlijk werd Tom Dumoulin als beste wielrenner van het jaar gekozen. Veel succes en gezondheid Tom! 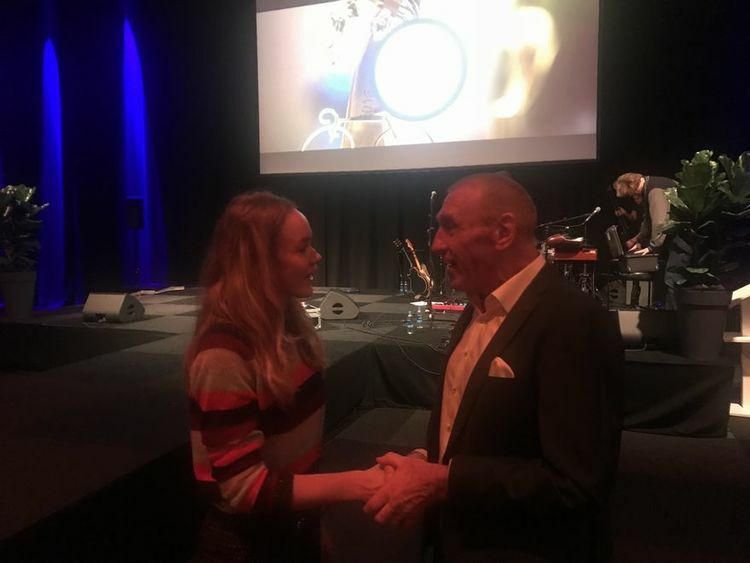 Anna van der Breggen is verkozen tot wielrenster van het jaar 2018. Olivier Grunfield uit Munchen, Duitsland. Beste Fred Rompelberg en team. De vakantie met jullie was weer super, de service en fietsen ook super goed. We komen terug. Groet, Olivier Grunfield uit Munchen, Duitsland. Hendrikus Wolfs uit Mechelen, België. We zijn weer voor de 7e keer gaan fietsen op Mallorca. Hartelijk dank voor jullie service. Wij komen zeker voor de 8ste keer weer terug. Groeten Hendrikus Wolfs uit Mechelen, België. Fred Rompelberg 268 km: 4. Reise gratis, für unsere Gäste, die ihren Radurlaub 2019 bei uns buchen. Buchungen gehen FORMIDABEL für das neue Hotel Hotel: Rei del Mediterrani Palace ****, im Norden von Mallorca in Alcúdia. Für 2019: 18,8% mehr Buchungen im Moment als im fantastisch gebuchten Jahr 2018. Formidabel, daher auch eine extra kostenlose Reise für unsere Gäste, bereits 4 Reisen werden bereits verlost. Wie Sie wissen, war der Teamtag ein großer Erfolg. Für mehr Fotos siehe Fotos unten. Hinweis: Buchen Sie vor dem 31. Dezember 2018. Bitte. Buche deine Flüge früh, hier verdienst du echt Geld. + Hotel mit Halbpension + Transfer + Fahrradservice / Orga nisation von das Fred Rompelberg Bicycle Team. 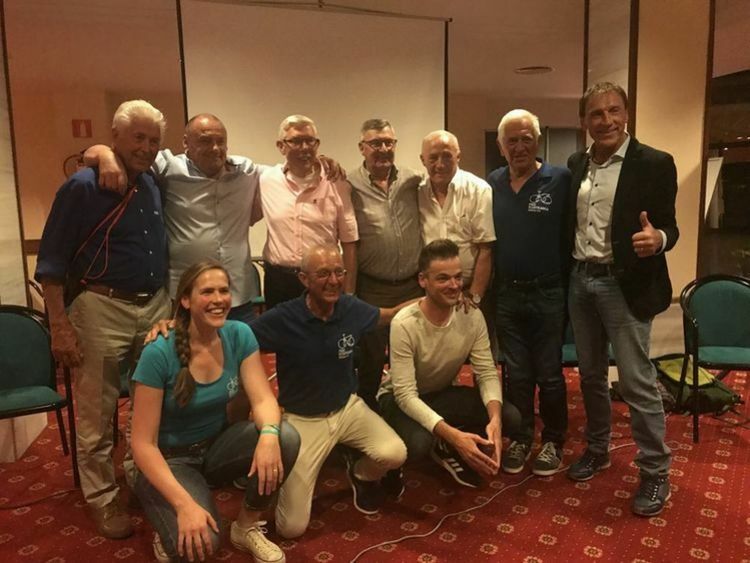 Club 48, der Verein mit vielen Olympiasiegern und niederländischen Meistern und Weltrekordlern wählte den besten Radfahrer des Jahres 2018! Ja, natürlich wurde Tom Dumoulin zum besten Radfahrer des Jahres gewählt. Viel Glück und Gesundheit Tom! Anna van der Breggen wurde zur Radfahrerin des Jahres 2018 gewählt. Van der Breggen hatte eine sehr erfolgreiche Saison 2018. Neben dem Weltmeister gewann sie auch die Strade Bianche, Flandern-Rundfahrt, Walloner Pfeil und Lüttich-Bastogne-Lüttich. Lieber Fred Rompelberg und Team. Der Urlaub bei dir war super, der Service und das Radfahren auch super gut. Wir kommen wieder zuruck. 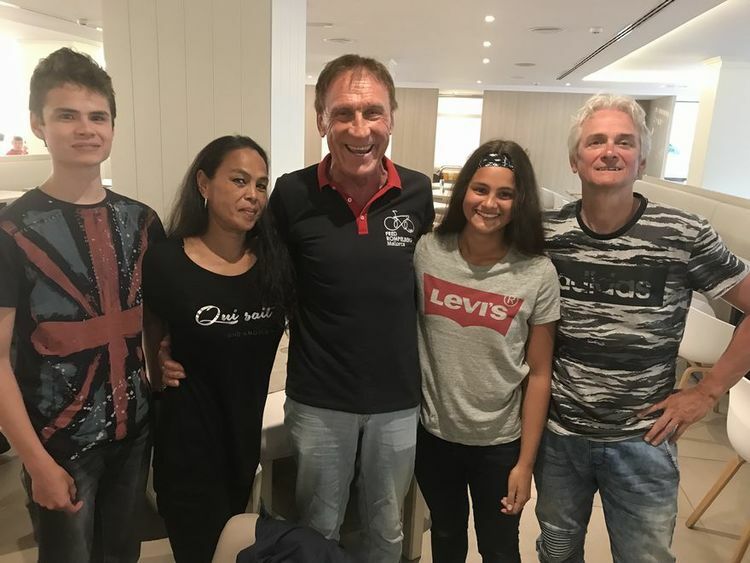 Viele Grüße Olivier Grunfield aus München. Hendrikus Wolfs aus Mechelen, Belgien. Wir haben zum siebten Mal auf Mallorca Fahrrad gefahren. Danke für Ihre Dienstleistung. Wir werden auf jeden Fall zum 8. Mal wiederkommen. Grüße Hendrikus Wolfs aus Mechelen, Belgien. Bookings going FORMIDABEL, for the new hotel Hotel: Rei del Mediterrani Palace****, in the north of Mallorca in Alcúdia. For 2019: 18.8% more bookings at the moment as in the fantastic booked year 2019. Formidable, therefore also an extra free trip for our guests, already 4 trips are already being raffled. As you know, the team day was a huge success. For more photos see photos below. Early booking discount for all hotels until 31 December 2018. Advice: Book before 31 December 2018. Please. Book your flights early, you will earn money. + Half board + transfer + bicycle service / organiz ation of the 60-member Fred Rompelberg Bicycle Team. 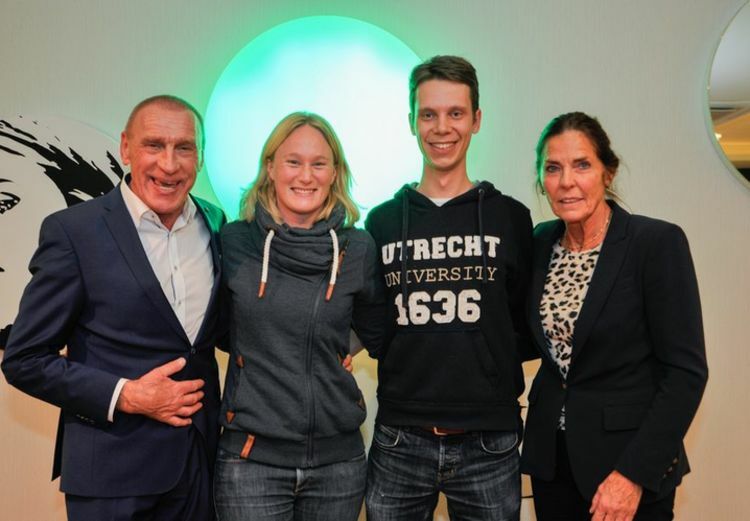 Club 48, the club with many Olympic-World and Dutch champions and world record holders chose the best cyclist of the year 2018! 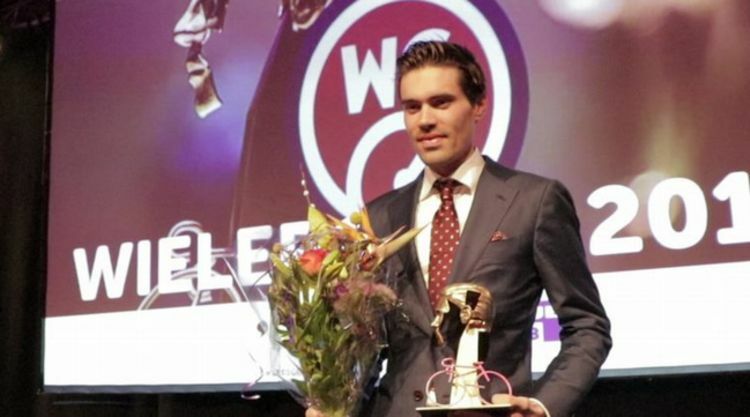 Yes, of course Tom Dumoulin was chosen as the best cyclist of the year. Good luck and health Tom! 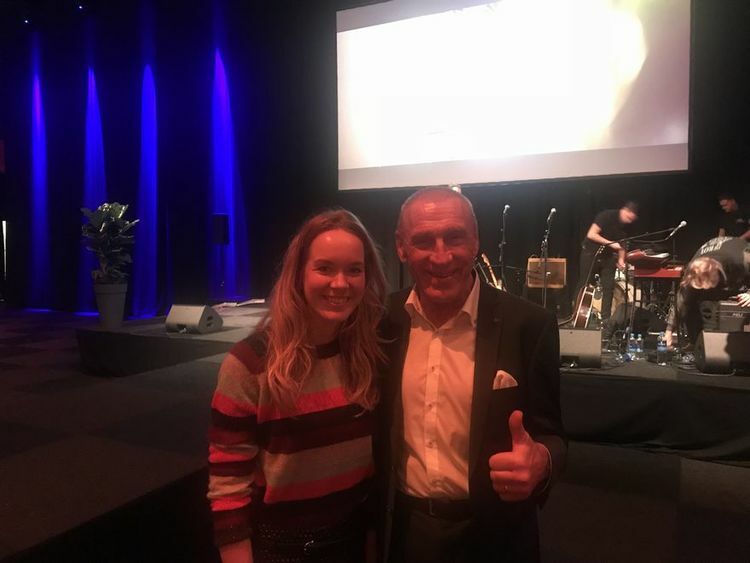 Anna van der Breggen was selected cyclist of the year 2018. We organize cycling holidays all year round on Mallorca! 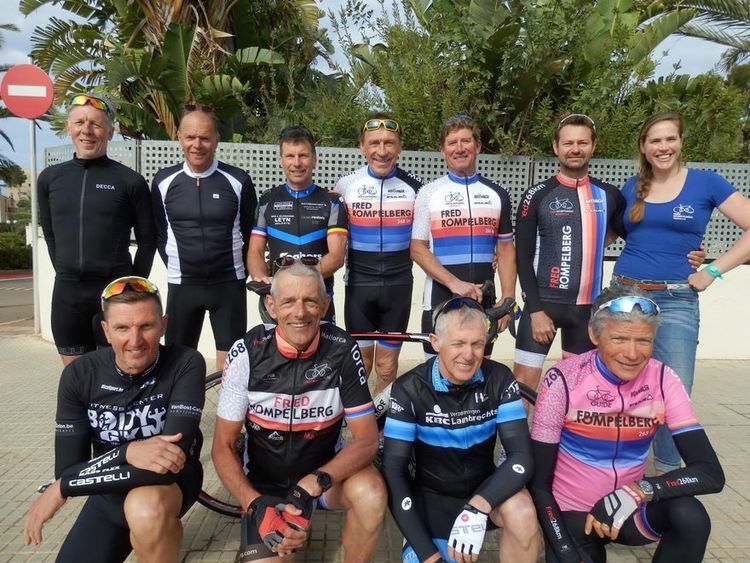 **** Our cycling sports holidays are for all cyclists aged 8 to 88 years. Olivier Grunfield from Munich, Germany. Dear Fred Rompelberg and team. The holiday with you was super, the service and cycling also super good. We will come back. Greetings, Olivier Grunfield from Munich, Germany. Hendrikus Wolfs from Mechelen, Belgium. We went cycling for the 7th time on Mallorca. Thank you for your service. We will definitely return for the 8th time. Regards Hendrikus Wolfs from Mechelen, Belgium. 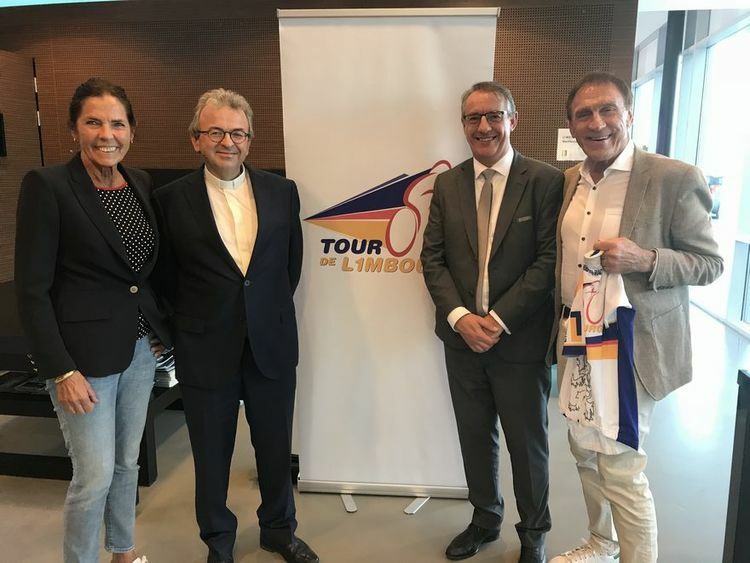 Tiny Rompelberg, Bishop Monsignor Harrie Smeets, Matheu Bemelmans, PR & Communicatie-adviseur from diocese Roermond and Fred 268 km. Today the new bishop Harrie Smeets was initiated in the cathedral of Roermond. Bishop Monsignor Harrie Smeets, a lot of health and strength and all the best! Photo by: Werknemer L1 TV. Team day December 1st of 2018, with Tiny Rompelberg and Robrecht Vranken. It was a very nice teamday! 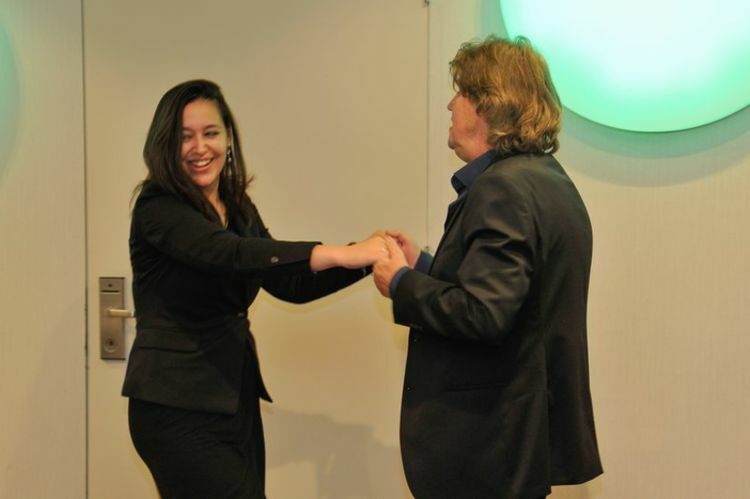 Team day December 1st of 2018, with Petia Tonozlieva en Ed van Elteren. It was a very nice teamday! Team day December 1st of 2018, with the dance teacher Annelies van Elteren and the team members. It was a very nice teamday! Team day December 1st of 2018. 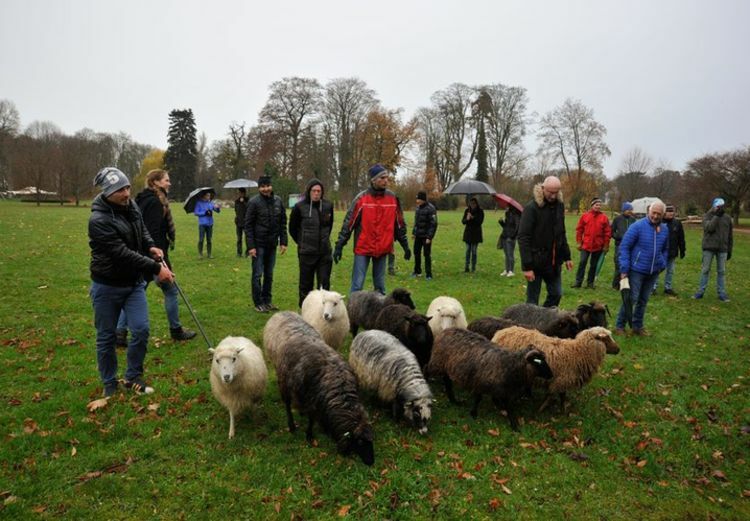 Herding, that was what the team had to do on this beautiful day. It was really a very nice teamday! Team day December 1st of 2018, with Fred 268 km, Lieke ten Hove, Willem Verlaat en Tiny Rompelberg. It was a very nice teamday! Club 48, the club with many Olympic-World and Dutch champions and world record holders chose the best cyclist of the year 2017! 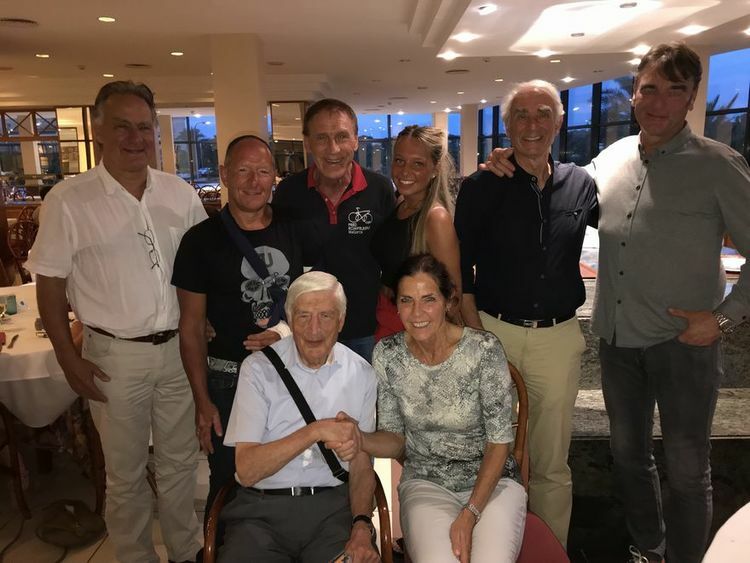 In the picture with champion cyclists: Rene Pijnen (Emperor of the 6-days, Rene won 72 6-days and many times Dutch and European champion), Gerard Koel (Olympic champion and many times Dutch champion), Gaby Minneboo (5 Times World champion and 25! times Dutch champion), Piet de Wit (3 Times World champion and many times Dutch champion), Gerben Karsten (Carrier of the yellow and the green jersey in the Tour de France and won many road races), Jo de Roo (Dutch champion and very a good road racer and won classic road races), Tiny Rompelberg and Fred 268 km (Holder of the The Absolute Worldspeedrecord Cycling 268,8 km, the fastest cyclist in the world). National champion and professional cyclist Laurens Sweeck, Fred 268 km and Annouck de Vries. Laurens was with us to prepair his new cycling cross season 2018-2019. We wish you good luck and succes Laurens with the coming cycling cross season! Today he won the Cycle Cross te Essen. Congratulations Leurens. 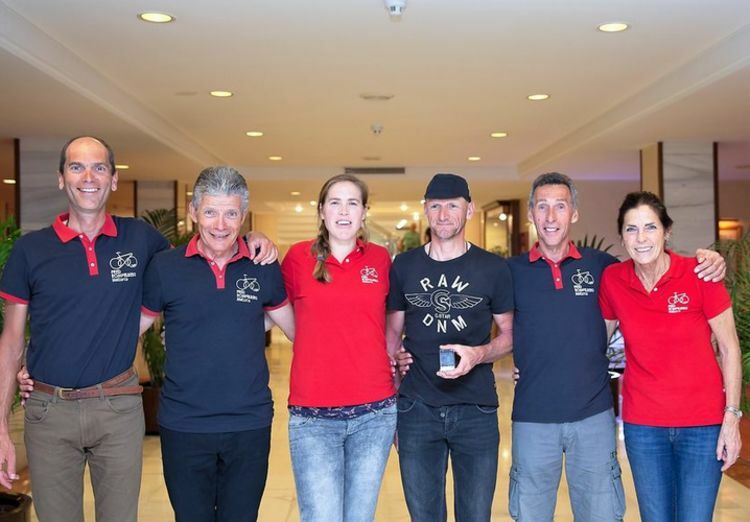 Here in the picture: Ian, Souisa, Fred 268 km, Jolanda, Ed van der Veer. King in Mallorca with us: Paul Vermeersch from Belgium with 685 km. Ivan van den Bogaert, Dany Schiettecatte, Letizia Rompelberg, Paul Vermeersch, Xavier Vanhaeren and Tiny Rompelberg. 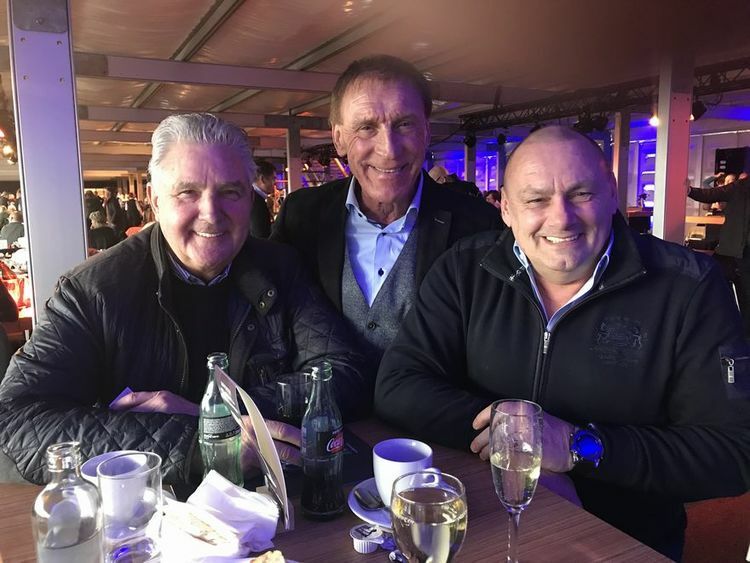 National- worldchampion and world record holder, together with Cees Priem, Fred 268 km and Roland Liboton. Many people who bought a bicycle came to collect this bike at Tiny and Fred 268 km in Maastricht in june 2018! 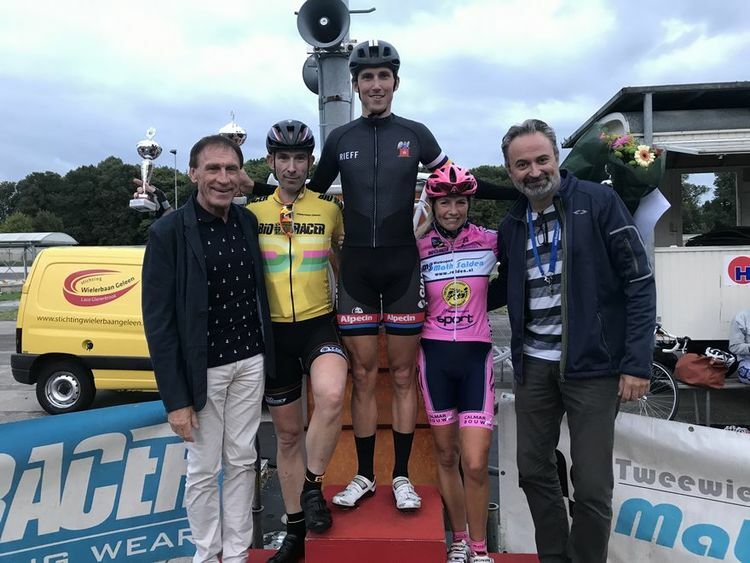 Awarding winners "Grand Prix Fred Rompelberg" this year at the cycling track in Geleen with organizer Michel van Dijke. The whole family Daalmans. 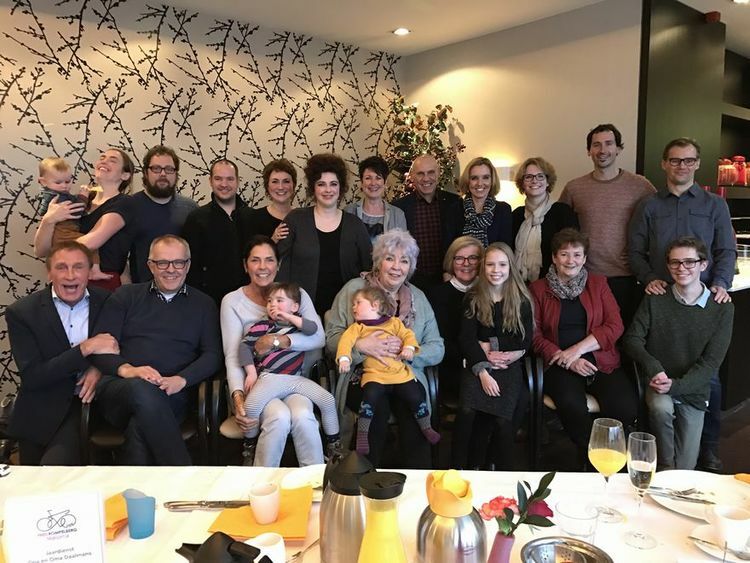 On January 8th, 2017, there was a meeting with the family Daalmans, the family of Tiny, in the Hotel van der Valk Maastricht, on the occasion to the parents Daalmans. The Hobby group of our teamleader Jules van de Weyer, ready to go with our hobby cyclists to make a nice tour on Mallorca. The Hobby group of our teamleader Dany Schiettecatte, ready to go with our hobby cyclists to make a nice tour on Mallorca. 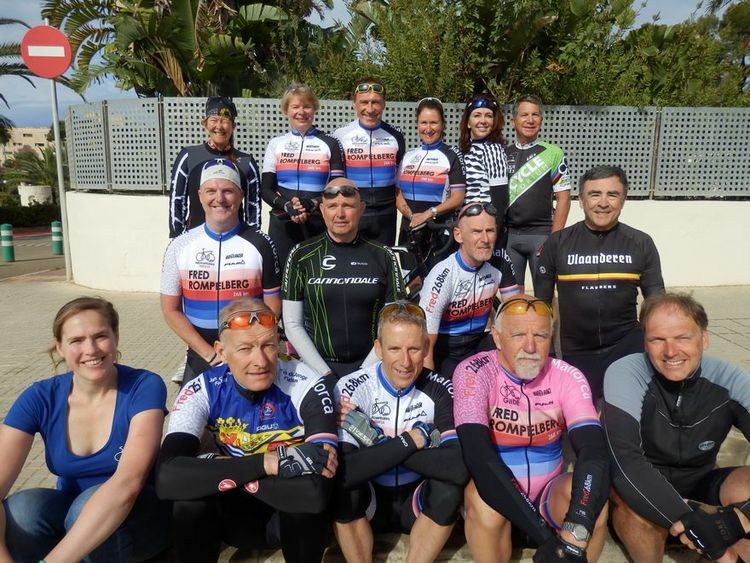 The Hobby group of our teamleader Willem Werkman, ready to go with our hobby cyclists to make a nice tour on Mallorca. Championsweek on Mallorca! Gerben Karstens, Roland Liboton, Gerard Koel, Robert Vermeire, Albert van Damme, Jan Poelmans, Fred 268 km, Letizia Rompelberg and Marc Michaux. All these champions had a wonderful week with us on Mallorca!